'The Apprentice' looks for a new Donald Trump. Who could it be? 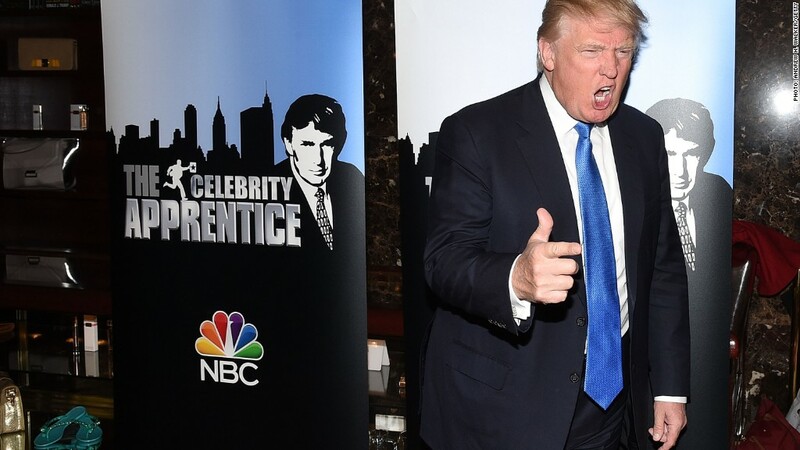 NBC severed ties with presidential candidate Donald Trump on Monday, but it wants to keep his reality show "The Celebrity Apprentice" on the air without him. In a statement, the network pointedly kept the door open for a continuation of the popular series. "'Celebrity Apprentice' is licensed from Mark Burnett's United Artists Media Group and that relationship will continue," NBC said. In other words, the network is saying it doesn't need Trump, even though he's very much the face of the show. Back in February NBC ordered a 15th season of the series. It is tentatively scheduled to enter production in the fall. So who might NBC and Burnett's production company say "you're hired" to? There's no shortage of famous millionaires and billionaires for NBC to choose from. Dallas Mavericks owner Mark Cuban, for instance, already co-hosts ABC's business-oriented reality show "Shark Tank." NBC could also look to Virgin founder Richard Branson -- he has been in talks with the network about a reality show in the past. Further afield, perhaps, there's CNBC regular Warren Buffett, who recently had a brief cameo in the "Entourage" movie. And keep in mind that Martha Stewart did host her own spin-off of the "Apprentice" series. "The Apprentice," a series that pits ambitious contestants against each other in the boardroom for Trump's approval, has been a solid performer for the peacock network over the years. When it first premiered in 2004, it averaged an impressive 20.7 million total viewers. It's come back down to earth since then, but it's still reliable enough in the ratings that NBC uses it to patch holes in its prime time schedule. The show's most recent season averaged 7.6 million total viewers when it aired in January and February earlier this year. When NBC ordered another season, Trump was apparently on board. But the network knew there was a chance that he'd announce a bid for the presidency, which could cause production to be delayed or could force the producers to find a new star. On the day he announced his bid, NBC said "we will re-evaluate Trump's role as host of 'Celebrity Apprentice' should it become necessary, as we are committed to this franchise." Then Trump began to say in interviews that he'd decided to give up the show. "In all fairness, I don't want it to sound trivial, NBC renewed 'The Apprentice,' because we had a great season last season. And they would love me not to be doing this, I will tell you right now," Trump told CNN's Jake Tapper in an interview that aired on Sunday. On Monday, when NBC severed ties with Trump, the network's statement acknowledged what he had said: "As Mr. Trump has already indicated, he will not be participating in 'The Apprentice' on NBC." Trump reiterated this point in a Q&A with reporters in Chicago. He said he'd "had a great relationship" with the network but that it's over now.